The following is the new set of officers for the year 2018-2019. Induction will be on April 12, 2018, 6p.m. Venue is Lenox Hotel, sponsored by Corbridge. We have decided to trim down the number of district councilors from two to only one per district. 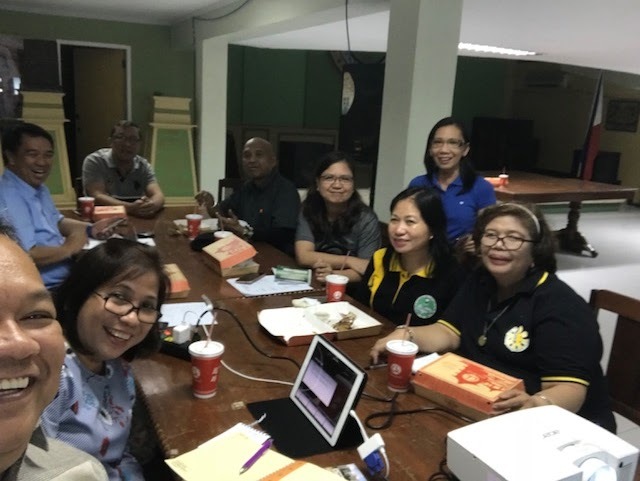 We also assigned doctors who live near Dagupan City who can attend board meetings for Alaminos and Urdaneta areas because the district councilors previously assigned in these areas DO NOT ATTEND meetings at all. We thought that it's best to have someone, even if she/he doesn't live in the area, to disseminate information either through social media or send messages through medical representatives. This way we can still reach out to members living in the outskirts of Pangasinan. If for some reason there is any disagreement to the following list, somebody wants to volunteer for the position of district councilor for either ALAMINOS and URDANETA districts and is willing to attend monthly board meetings, please file your petition to the board not later than February 28, 2018 for appropriate action. For members from Western and Eastern Pangasinan who are interested in taking the position of Chapter President for the year 2019-2020, please express your intention by sending an email to dr.amelyn.rafael@gmail.com. We look forward to hearing from you. 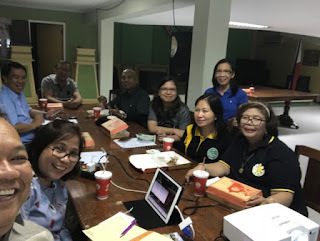 Our Chapter had its first Board meeting this year on January 18, 2018 at PMS Building. We were able to finalize the date for the induction of new set of officers (April 12, 2018) and the postgraduate course (August 10, 2018). This is in preparation for all the paperwork that need to be accomplished for the said events. We also talked about some details regarding the Annual Convention on March 1-3 and we drafted the Operational Plan for this year. Our Fellowship and Socials Night for this year will be on March 1, 2018, 8 p.m., to be held at Reception Hall, PICC with the theme "LaPAFPter, the Best Medicine". There will be a competition in the form of group presentations by region. Please attend the said event to relax, laugh, and have fun. The following is the list of qualified voters in our Chapter. It was based on the annual dues remitted to the national office as of December 31, 2017. For queries, please send email to flor@thepafp.org on or before January 31, 2018. The COMELEC will meet on February 10, 2018 for the final voters' list. No queries will be entertained after the said date. Please be guided accordingly. 2. ALVENDIA, MARIA KRISTINA C.
9. BAUTISTA, MARIA LUSIANA M.
14. CASABAR, ARLENE SUSAN S.
18. DE GUZMAN, RUBY C.
29. GURION, DAVID BEN E.
30. GURION, GRACE MAE R.
33. LAGMAY, MA. FE B. 39. MERRERA, ATHENA MARIE C.
56. RIVERA, ELEANITA LERISSA A. This activity is catered for healthcare providers with special interest for Adolescent patients. This year, it aims to equip its participants with skills and styles in dealing with sensitive issues that many adolescents are facing with regard sexuality, teen parenthood/pregnancy prevention and mental health. With the increasing public health concerns on the said issues, this seminar workshop will be a great tool to target these problems. The Philippine Academy of Family Physicians in partnership with Merck Sharp & Dohme (MSD) will be holding its Scientific Symposium with the theme “What’s Now? What’s New? In Healthcare Promotion and Disease Prevention” on January 20, 2018, 8:00 am – 4:00 p.m. at the Mayuree 1, Dusit Thani Manila, EDSA, Makati City. This CPD activity is awarded 20 PAFP CPD Units, Category 1 and PRC CPD Units (to follow). Our Chapter is provided with 10 free slots. Please send me your name and email address if you want to avail of the free slot. Deadline of submission is on January 19, 2018.